Villa Euribia ... a corner of peace in the heart of Santa Marina! For lovers of the sea, sun and tranquility we offer the opportunity to spend a fabulous stay on the island of Salina. 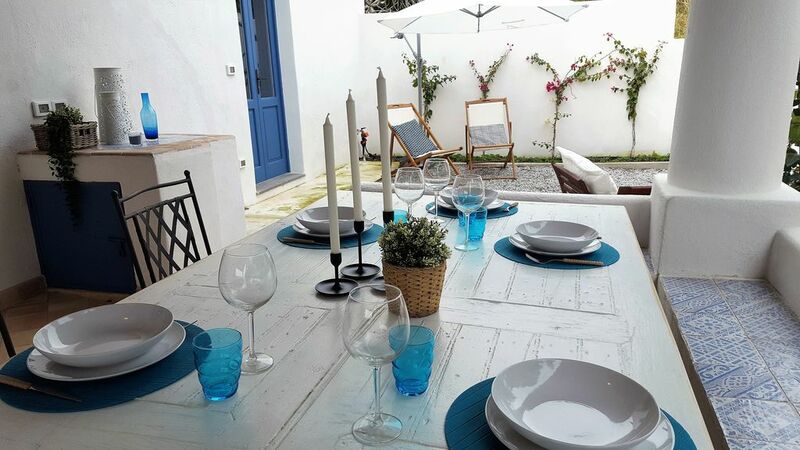 The house, recently renovated, is located in the historic Santa Marina near numerous food shops and shops of all kinds. Within walking distance there is the possibility of reaching both bathing establishments and some free and equipped beaches. The house, in typical Aeolian style, is spread over an area of ​​100 square meters divided into 2 air-conditioned bedrooms for a total of 4 places over two additional, 2 bathrooms and a modern equipped kitchen. There is also an additional 100 sqm outdoor area, a part of which is used as a covered patio. Guests can take advantage of a free shuttle service from the port to the house upon arrival. It is the patrimony of the U. N.E. S.C. OR.